Just like its predecessor, the Xiaomi Redmi Note 3 powered by the MediaTek's MT6795 chipset, also known as Helio X10. Unlike what the name suggests, the processor is actually an octa-core 2GHz Cortex-A53, accompanied by a PowerVR G6200 (Rogue) GPU and 2GB of RAM. If you'd prefer more RAM, you can opt for the 3GB RAM model, which also doubles the internal storage up to 32GB. Our review unit however is of the 16GB variety. GeekBench 3 gauges the multi-core performance of the processor and the Redmi Note 3, unsurprisingly, is outing the same score as its Note 2 sibling. It's a flagship-grade one, though somewhat lower than the Meizu's MX5 and m1 metal, which are also running on the same chips. 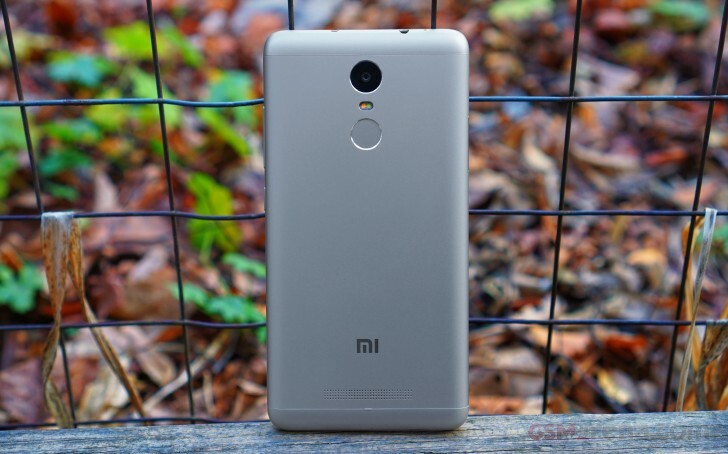 The compound AnTuTu 5 bench deems the Redmi Note 3 equal to the rest of the Helio X10 handsets - the MX5, m1 metal, and Redmi Note 2. Basemark OS II 2.0 calculates CPU, GPU, memory, OS and web performance and mashes it all up into a single score. The Redmi Note 3 is on par with the Redmi Note 2 and Meizu m1 metal. It manages to beats the Xperia M5, but falls behind the MX5. Quite expectedly, a single Cortex-A53 processor core running at 2GHz is a real beast, while eight of those are indeed a blazing fast configuration. PowerVR G6200 GPU is perfectly capable of handling 1080p displays. Its raw offscreen performance is better than the widespread Adreno 405 within the Snapdragon 615, so we guess the Helio X10 is the smarter choice for the 1080p upper mid-rangers. The only threat comes from the Snapdragon 808's Adreno 418 (Xiaomi Mi 4c), which seems to be the better performer. The aging Adreno 330, once a royalty, is also better. And we still can't explain the MX5's win, which has identical specs. The GPU bench Basemark X confirms our findings. The Helio X10 inside the Xiaomi Redmi Note 3 is a great performer for such an affordable device and a real powerhouse. There is nothing the Helio X10 can't handle on the Redmi Note 3's 1080p display and we are sure the Xiaomi fans will appreciate the choice of platform and all the software optimizations the company has done on the MIUI 7 launcher.